Are you over the age of 12? Have you and your parent or guardian had a chat about Santa Clause? If your answer to one or both, especially the second, is Yes, continue. 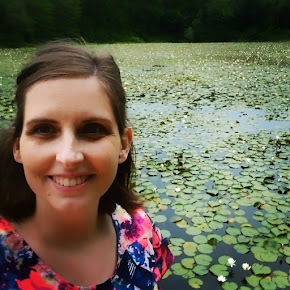 Okay, so funny this should be such a hush-hush post, but, you know. Santa has a way of being controversial. 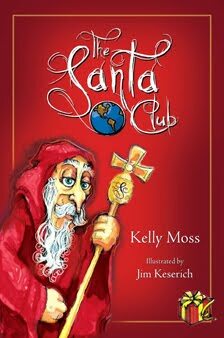 :) The Santa Club, by Kelly Moss, walks kids who are ready through that troublesome question of the veracity of the Man in Red. If your child is ready for "the talk," I think this book's approach is perfect. After confirming that the reader is accompanied by a parent and has permission to read, The Santa Club poses that singular question, "Is Santa real?" The answer: a resounding Yes! It all began with St. Nicholas, who wanted to honor the Baby Jesus, and the gift giving continues today with millions of Santas all over the world. After reading, the child is admonished to not share this top-secret information with anyone else, especially younger children, and is then officially inducted him- or herself into The Santa Club. I loved that this book took such a positive approach to what can be a traumatic revelation. I loved that it embraced the true meaning of Christmas---the birth of Jesus Christ. But ... I didn't love the illustrations. :( I'm no judge of art, but the people depicted throughout the book are generally unattractive and occasionally a little scary looking. So. The text? Loved it. Fantastic. The pictures? Not my fav. Still, I'll keep this one on a high shelf until my kids are ready for it. A better approach to teaching them about both Santa and his role in the real Christmas, I have yet to encounter. Hehe I like the feel of chain-email we've got going there at the top of the post. You crack me up, Ashley!